Unless your establishment is built entirely of face brick, there are surfaces that need to be painted occasionally to ensure that your property is pleasing to guests. Always remember: You clean to paint, you do not paint to clean. Ensure that the surfaces to be painted are easily accessible. Remove all pictures, nails, hooks, curtain rails, light fittings and switch covers. Mask skirting boards with masking tape and cover floors with drop sheets. Ensure that the area to be painted is well ventilated and, where possible, open windows and doors. Warm, dry days are best for painting. Avoid painting when conditions are damp and the temperatures are below 10 degrees or above 35 degrees. 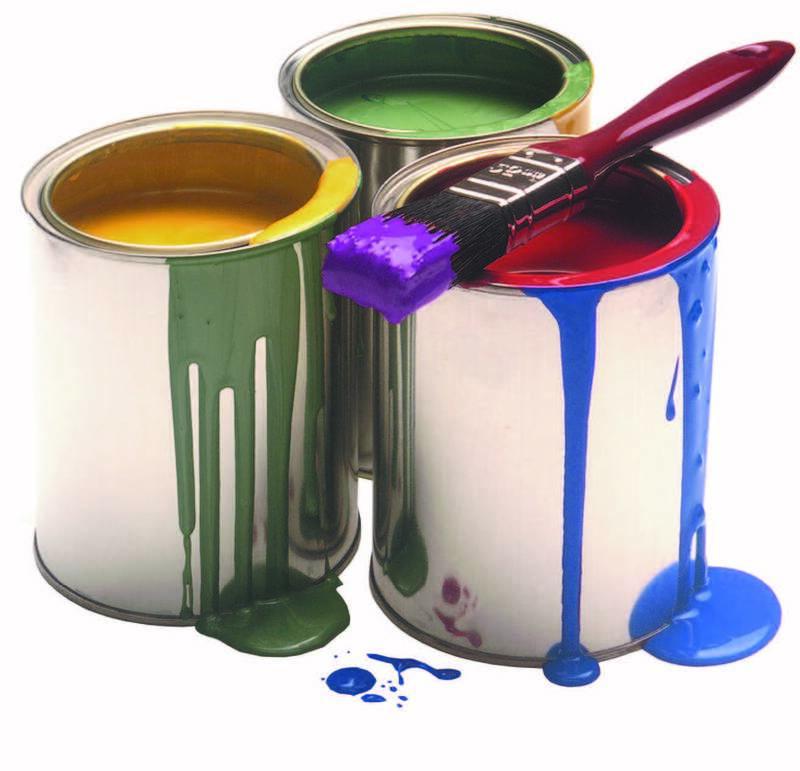 Paint must not be thinned by adding water or solvents as this will result in colour variations and variations in paint film thickness. Always follow the manufacturers’ directions on the can. Proper stirring of your paint prior to use is essential – at least 5 minutes is advised for correct colour consistency. Using a flat paddle, stir in alternating circular and lifting motions until the contents is thoroughly mixed. Continue stirring at regular intervals during the paint application. Where you have more than one tin of the same colour, mix the contents of all the tins together – this will ensure total colour consistency. Surface preparation is the most important factor to ensure that the maximum lifespan of the paint is achieved. The quickest way to paint failure is improper surface preparation. Remember that a normal paint system consists of a primer, an undercoat and a finishing topcoat. Thought must be given to the QUALITY of the paint to be purchased. Consider the ultimate lifespan of the paint from a long term point of view, rather than choosing the cheapest paint available. PENNY WISE IS POUND FOOLISH – With an inferior quality paint you will end up painting more frequently and this will be more costly in the long run. Purchase the paint most suited to the surface you will be painting on – your stockist will give you the professional guidance you need. To increase your investment by improving the appearance of your property. A protective barrier – acidic elements in the atmosphere adversely affect both galvanised and cement roofing materials – Dulux Weatherguard alleviates such problems. Problems on previously painted surfaces are often caused by the use of low quality paints and/or poor surface preparation. If cracking does not go down to the substrate surface, sand to smooth the edges of the cracks. Prime any bare spots and seal surface with Dulux Universal Undercoat to achieve a smooth surface for repainting. If cracking goes all the way down to the substrate, remove all the paint by scraping, sanding, using paint stripper or a heat gun, then fill with Fixit Crack Filler and allow to dry. Sand down to a smooth finish, prime correctly and repaint. Remove flaking paint with a scraper and a wire brush, fill areas with Fixit Crack Filler where necessary, smooth down with sandpaper, prime and repaint. To remove mildew and mould from walls and ceilings use Jik mixed 50% with water and apply. Wear appropriate protective equipment (goggles and gloves). This is where a loss of paint occurs due to poor adhesion of previously applied paint. The problem can be solved by removing all peeling paint with a scraper or wire brush. Sand rough areas with a fine grit sand paper (120 – 150 grit). Prime bare substrate and repaint surface area. This is when paint forms a "skin" due to excessive paint being used on a surface. Scrape and sand the wrinkled surface to remove the excess paint. Repaint the surface using the appropriate Dulux paint finish. Ensure that the first coat or primer is completely dry before applying the topcoat. If conditions are extremely hot, cool or damp, allow extra time for paint to dry completely. To determine if a surface needs to have the paint removed make a series of small crosses in the paint using a sharp blade, apply adhesive tape over the area, press firmly then pull the tape off quickly. If the paint comes away from the surface, the paint needs to be removed. Paint can be removed by scraping, sanding or by using Fixit Paint Stripper. If using paint stripper, apply the paint stripper and wait until the paint wrinkles, then scrape off using a paint scraper. Only apply paint stripper in well ventilated areas and avoid excessive inhalation of the fumes. Remember to neutralise the surface with water and allow it to dry completely before applying the topcoat. Use safety goggles to protect your eyes from splashes and gloves for your hands. Splashes on skin must be washed off immediately. If you do not need to remove the old paint, wash the surface to be painted with Fixit Sugar Soap solution to effectively remove all dirt, dust, grease and grime. Rinse thoroughly with clean water and allow the area to dry completely. Fill all holes and cracks with Fixit Interior/ Exterior Crack Filler, allow to dry then sand the area using fine grit sandpaper until smooth. All surfaces must be clean, dry and free of contamination before painting to ensure good adhesion of the paint. Painting should usually occur from the top down. Using a brush, cut around the edges then paint the remaining surface with the appropriate roller. Repeat. Using a brush, cut around the edges, then apply paint with a roller. Repeat. Use a fine-textured brush or sponge roller to apply undercoat and then topcoat. Paint roof surface, then eaves and verandas, walls, gutters and down pipes, windows and doors. Should be sanded until smooth. Sand along the grain to prevent any fibres from being raised. Remove all dust and dirt after sanding and then coat using Dulux Woodguard Wood Primer. Ensure that all joints are smooth and dust free. Prime with Dulux Plaster Primer. 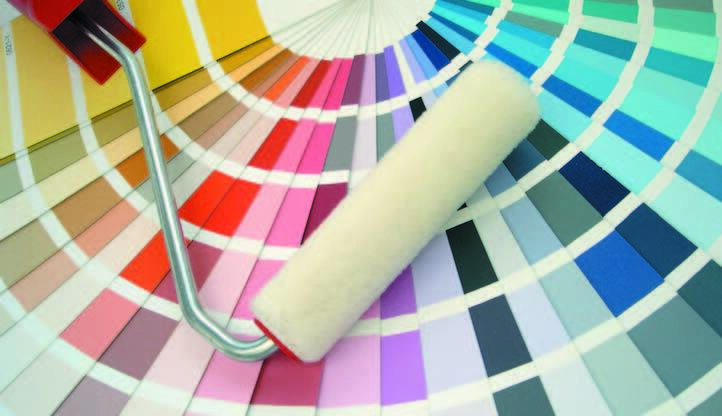 Take care when choosing colours – what looks good on a small colour swatch could be overpowering on a large surface. Bear in mind that colours can change in full light, and can also vary under different types of lighting both internally and externally. Colours can vary at sunrise and sunset and in shade. Painting your establishment can dramatically enhance your guests’ experience. The power of colours offers limitless opportunities for self-expression. The effective use of HIGH QUALITY paints and colours can enhance the overall value of one of your greatest assets – your property. Look at your favourite fabric, coloured glass bowl, paintings or any other household items of your choice in a new light – you could find the perfect colour scheme for any room in your home. Use of colour to raise the height of the ceiling – By using 3 shades of colour you can make your ceiling appear higher. Begin with the strongest colour low in the room, followed by the middle intensity colour for the walls, then use the palest colour for the ceiling. Use colour to highlight architectural features – You can make special features the centre of attention by using contrasting colours. Picture rails, skirting boards, cornices and arches can be painted in dominant colours that stand out from the rest of the room. Use colour to create warmth – To create a cosy atmosphere apply a red or orange colour rather than shades of blue, this will make the room feel and look warmer. Use colour to hide flaws – Together with thorough surface preparation, painting can be the easiest way to fix a flaw in a room. By painting the feature wall a darker shade of the same colour, your eye will be drawn away from problem areas. Use colour to increase the size of the room – A warm colour on the ceiling together with brighter colours on the walls will make the room look bigger. When painting ceilings or high walls, use a roller on an extension handle or a broomstick taped with masking tape to cover the full height of a wall in a single stroke. Recoat the roller and paint the adjoining areas in the same way. Ensure when joining the sections to roll from the dry area back into the wet area to avoid any lap marks. Using the right tools is essential. Rollers and brushes should be of the highest quality in order to achieve a high quality result. Use the right size brushes. Most work will require different size brushes: – A broad brush or corrugated roller should be used for galvanised sheeting or IBR sheeting on roofs. – A block brush should be used for cement tiles, fibre cement sheeting and granular cement tiles. – A new brush should be flicked vigorously on the edge of a table or across your fingers or any flat surface to remove any loose bristles from the brush. Dip the brush in water, remove excess water by flicking thoroughly before painting. – Sponge rollers and mini foam rollers are available for specific applications. – Mini rollers are ideal for gloss/enamel paints, wooden or metal surfaces to create an ultra-smooth finish. – Flocked mini rollers are for use with water based enamels and wood varnishes. Brushes must be flicked, washed and dried to remove loose bristles. Follow instructions on the paint tin. Load the brush evenly and sufficiently by dipping only halfway into the tin and removing excess paint by running the brush against the top edge of the tin. Apply paint evenly and fully with short firm strokes. If painting timber, paint in the direction of the grain. Don’t let brushes or rollers soak in water, solvent or paint for a long time as the bristles and nap will soften and applying paint will be more difficult, resulting in streaks on the surfaces. Don’t use large brushes on small surfaces, strips or pipes, as this will cause the brush to split. Soak brushes and rollers in lukewarm water for a few minutes immediately after use. Work water into the roller pile or bristles of the brushes using your fingers to remove excess paint. Drain the water and repeat the process until brushes and rollers are clean. Rinse well, spin the rollers and flick brushes to dry. Soak rollers or brushes in mineral turpentine, working the solvent into the pile or bristles using your fingers. Drain and repeat the process, rinse with warm, soapy water and spin rollers and flick brushes to dry. By choosing a high quality paint you are giving yourself the best chance to achieve the most outstanding results. This will also save you money as a good quality, properly applied paint will last twice as long as a cheaper, inferior paint.